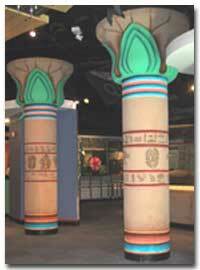 I've been a professional museum writer since I joined the staff at The Franklin Institute Science Museum in 1987. For 25 years, I've worked with science, children's and art museums; zoos, aquariums, and arboreta; nature centers and state parks. I've developed an incredibly broad range of written materials for print and web, ranging from exhibit labels and interactives to multi-million dollar grant proposals to hands-on gallery guides to planetarium and live theater scripts. This is just a sampling of the types of projects I've worked on. Click on the hyperlinks to see online samples, or contact me for specific project samples.